Add some retro-style glamour to your celebration with these gorgeous napkins from our Colour Block Marble collection. A must-have addition to your party or buffet, these napkins can be combined with other pieces in the range to give your table a beautifully coordinated look. 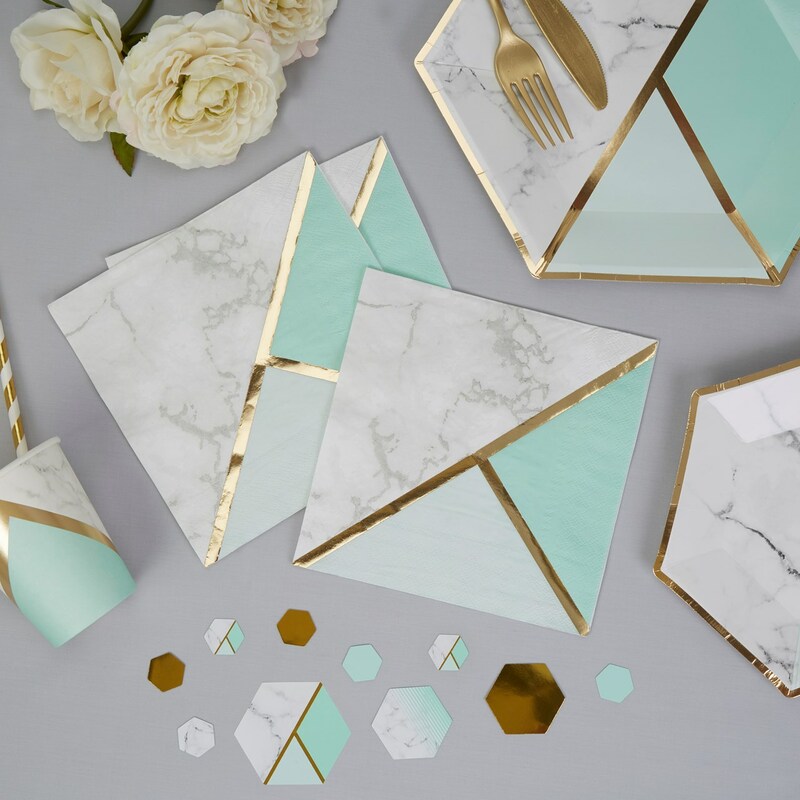 Made from durable 3-ply paper, the napkins feature a sleek geometric design mixing marble with mint green and accents of gold. Each pack contains 16 Napkins.